Help make a difference in the future of Dunwoody on Tuesday, January 12th. Sound your voice & have input into our city’s Parks and Recreation Master Plan Update. In 2013 the city’s Community Survey, the top two responses for amenities of our parks were for more trails & bike paths. We agree! With YOUR input in 2016, we can continue building out a connected network. You can help to guide future growth for recreational facilities and activities over the next several years. This will be a critical component of the development of future facilities, programs, and services. 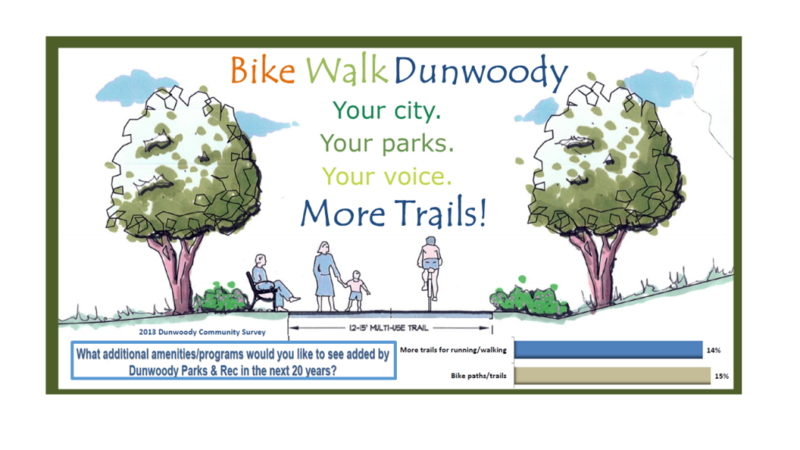 This is the proposed Greenway Trail network in Dunwoody’s 2011 Parks Master Plan. 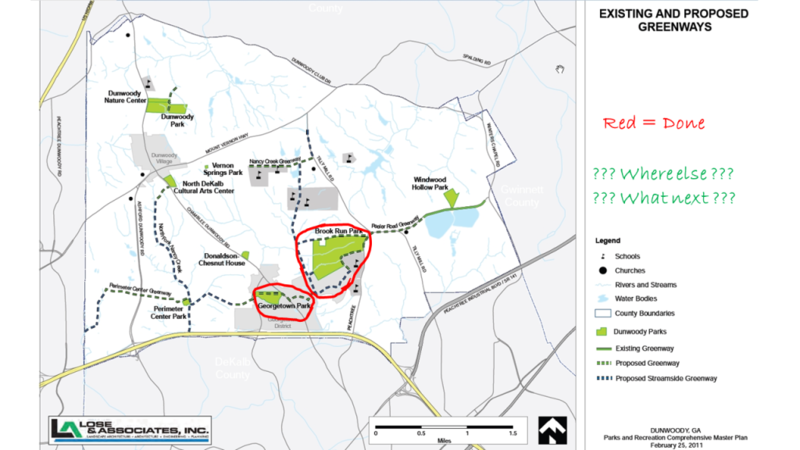 The city has built the 2-mile loop trail in Brook Run, which will imminently connect to the new park on North Shallowford / Pernoshal all the way to Chamblee-Dunwoody. What should we do in the next few years? For the current 2011 plan, click HERE.